but it is really fun to celebrate with students. making memories for your students that they will never forget. what they DO remember is the magical memories you make with them. a poem that, ironically, slips out of the book The Night Before St. Patrick's Day by Natasha Wing. 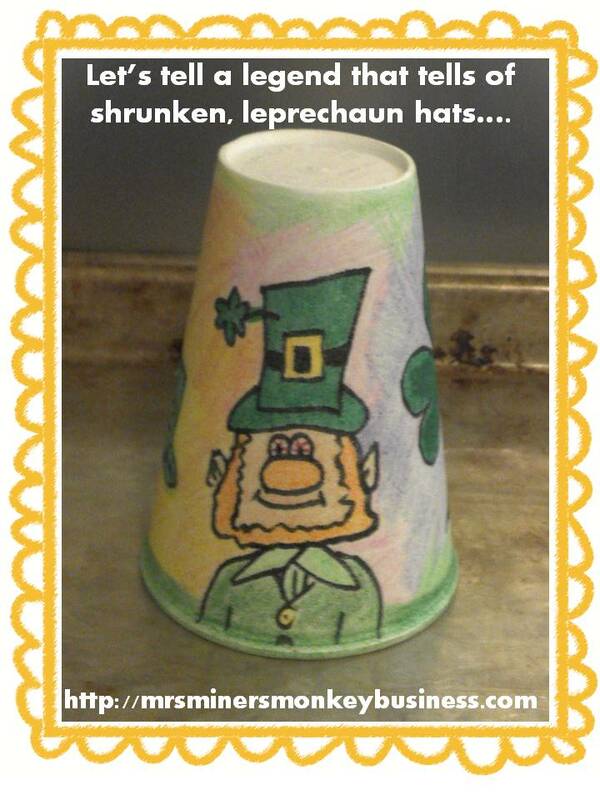 The poem teaches the Legend of the Shrunken Leprechaun Hats and suggests that students decorate their "hats" (Styrofoam cups) and leave them out on their desk (or by their bed for those who are doing this activity at home). The legend says that, if they are good, they will find a hat suitable for a small leprechaun's head with some treasures inside. You bring the decorated cups home and "magically" shrink the cup-shaped hats in the oven to make them actually look like REAL, tiny leprechaun shaped hats. You could even teach the children how to draw a lucky clover or shamrock, so they could draw it on their magical hats just for Lucky the Leprechaun! Click the picture above to grab the freebie! Aren't they adorable? Can't you see how children will find this so magical??? They turn into PERFECT little hats with brims and everything! They are ADORABLE to us and purely MAGICAL to the children. So, the next day, you bring the hats back and place treats underneath (green and gold beaded necklaces, gold coins, gold Hershey kisses, etc..)-really anything green or gold will do. And, of course, you need to be sure to leave a special note from Lucky, too! Rachel Seymour from A-B-Seymour shares this picture of what Lucky left her kiddos! She also has a great freebie pack with great review activities and the cutest book EVER that you can find there, too! After students find their treats, they start to notice that there are shamrocks with numbers hanging all around the classroom! Food is a must for any celebration with children, right? Want a snack that is magical to be delivered by Lucky as well? 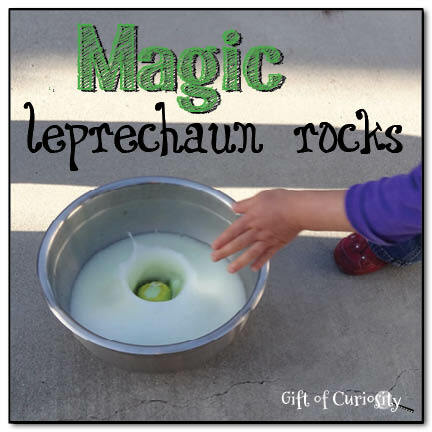 Why not try this Magic Leprechaun Dust from Design by Dazzle? Its the old pistachio pudding trick....the powder (dust) is white, but when you add milk, it turns green! 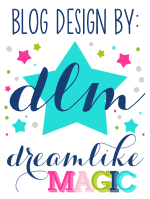 Design by Dazzle even has free printables to use as labels for Lucky's delivery--woot woot! Your students are going to think Lucky the Leprechaun is THE MAN bringing on these magical goodies to them! because of the magic rocks and the dust! We are working on opinion writing, so we will be doing something along the lines of what kind of leprechaun do you think Lucky is...but, of course, you could do anything: letters to Lucky, questions for Lucky, anything! I always talk about Lucky being a "young" reader and how important it is that we help him as much as possible by giving him good letter formation, spaces, etc....its amay-zing how they are so much more willing to write their best for a fictitious character vs. just their teacher (wahhhh! but I'll take what I can get!). Make sure you grab the two follow up freebies to Lucky's visit at my Teachers Pay Teacher Store! I hope I've made your magical St. Patrick's Day easy to plan for! Can't wait to hear about it! The selection for sale to over the internet potential customers might be a second tag heuer replica for what reason the general public interest this particular follow and they sometimes seek copy looks after salees over the internet. Through some other in the on top of tasks, typically the artistry, styles of raw wood would always build typically the replica louis vuitton Luggage bags winders, typically the plastic draw, ought to be looked at. Charge might be a particular consideration to look at, except for the foremost necessary a particular. You can actually get any sort of brand of follow to locate numerous designed looks after, colour combination from follow deals with, colour combination from follow rubberbandz, Stainless looks after, old watches plated looks after perhaps even raw wood looks after are on hand. Any time you jump into typically the steeply-priced array of looks after you will find the entire latest array of chanel replica sale with the help of gems, dependable old watches looks after, titanium, and much of various platinum looks after not to mention jewel filled up with looks after. Perhaps even mechanical looks after will continue to be working hard healthier whether they are actually injure personally on the subject of and once all only two rolex replica sale considering that this element helps prevent the follow lubricated.